Python is a new and innovative scripting language. It is set to replace Perl as the programming language of choice for shell scripters, and for serious application developers who want a feature-rich, yet simple language to deploy their products. 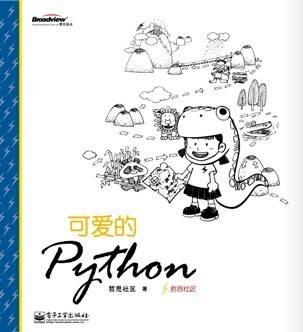 Dive Into Python is a hands-on guide to the Python language. Each chapter starts with a real, complete code sample, proceeds to pick it apart and explain the pieces, and then puts it all back together in a summary at the end. This is the perfect resource for you if you like to jump into languages fast and get going right away. If youre just starting to learn Python, first pick up a copy of Magnus Lie Hetland's Practical Python. reading Immanuel Kant's Critique of Pure Reason. great complement for "learn python the hard way"
A tuple is an immutable list. A tuble can NOT be changed in any way once it is created. 原文参见： http://woodpecker.org.cn/diveintopython/object_oriented_framework/userdict.html 一开始给出了这么一段代码，如下所示。 /代码内容已省略/ 第四行if语句中 self.update(dict) 语句让我十分困惑，为啥不是用的 self.data.update(dict)呢？ 于是我决定直接去阅读这个文件的源代码，在笔者的机器上，它为C:\Python27\Lib\UserDict.py。在读完完整源码后，笔者豁然开朗，..